Welcome to the Mercure Cabourg & Spa, with your accommodation, access to our fitness and wellness area is offered! 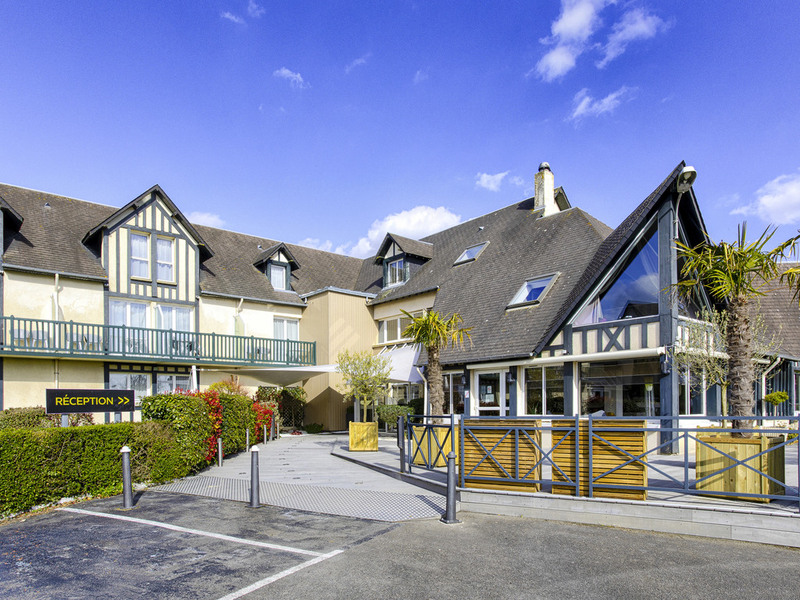 Located 5 minutes by car from the city center and beaches, opposite the Hippodrome, the Mercure Cabourg Hotel combines comfort with the assurance of absolute tranquility. Nestled in a green setting, the rooms are warm and comfortable. During your business or leisure stay, you'll enjoy our heated swimming pool, hammam, sauna or fitness area. This Mercure hotel is preferred to organize your family stays. Hammam and sauna: 9 a.m. to 12 p.m. and 3 to 8:30 p.m. Enjoy the peace and quiet offered by our comfortable rooms. Choose a room with a balcony overlooking both the garden and the racetrack. Whether you are with friends or with family, you are sure to love our duplex rooms for up to 5 people. If added services and extra comfort are what you are looking for, then choose our Privilege Suites.